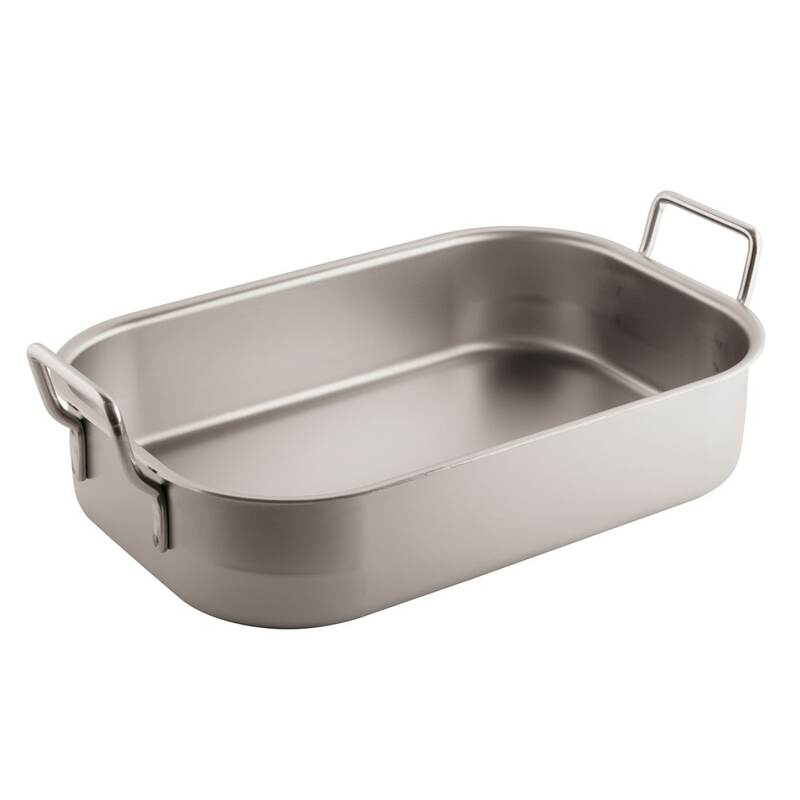 Since the Paderno 11943-50 roasting pan is made of stainless steel, it resists corrosion and does not transfer flavors. It has a matte finish and does not come with a lid. Shallow sides expose more of the meat to the heat of the oven than tall sides, ensuring product cooks quickly and evenly. For easy lifting and carrying, the pan has two straight handles riveted to its sides. Want to know more about roasting pans? Visit our bakeware resource.